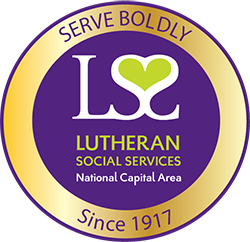 Today we hold our heads high, proud of the 99 years LSS/NCA has served children and families in need. We have accomplished so much together, building a community that is responsive to the needs of others beyond one’s self. Every donor, congregation, community partner, staff member, and volunteer has played an integral role in restoring hope and dignity. Nothing about that changes. Together, we will continue to bring love and compassion to those we touch. It is because of you that LSS/NCA will continue to do the remarkable work it has done over the past century. With respect to the results of the 2016 U.S. presidential election, LSS/NCA, along with our community partners and affiliate LIRS, affirm our commitment to uphold the United States’ long tradition of protecting and welcoming refugees. Historically our refugee program has benefited from bipartisan support and at a time when the world is facing the largest global refugee crisis since World War II, LSS/NCA will work closely with LIRS, lawmakers, and local partners to sustain policies that support refugees. When others retreat and retrench, we advance and answer. Like yesterday, today, and for our many tomorrows together, we will stand by those who need a hand to hold and voice to speak for them. If you would like to help and show your support, please volunteer or donate.